Prayer cards are an adapted version of visual prayer that have beginning or starting points. There may be images to color in, words to add, doodling to complete as time is spent finishing a card. 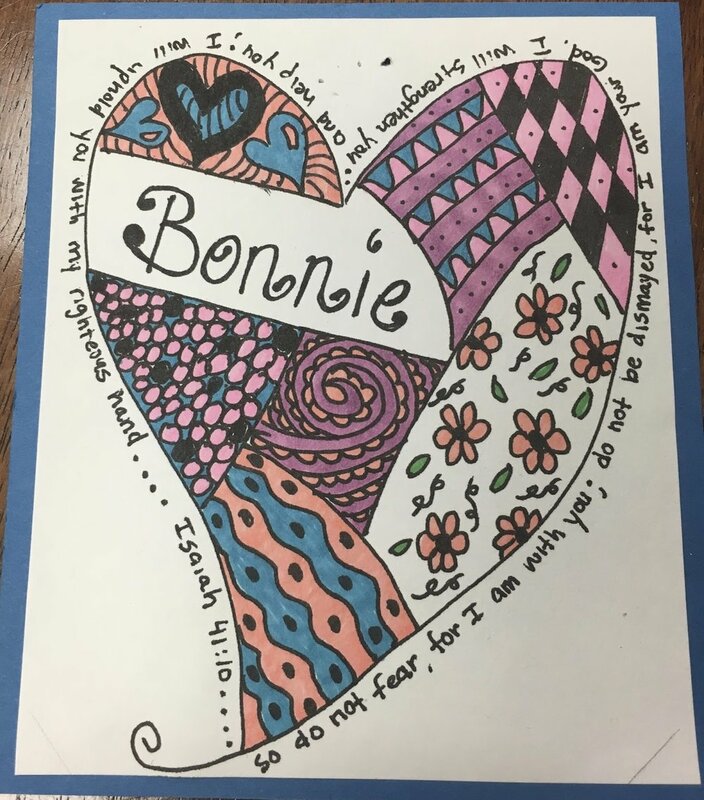 The cards may be reminders for a personal prayer journal or given to bless a recipient. 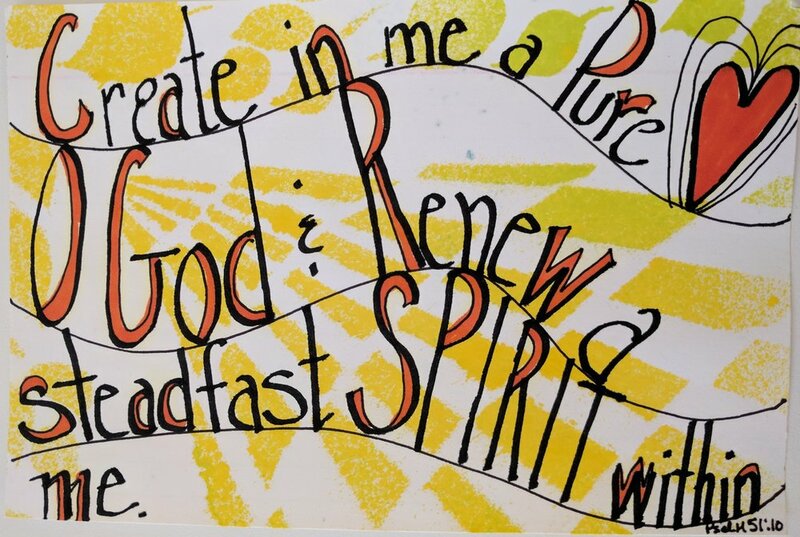 A 4 by 6 inch index card from Staples becomes a Visual Prayer card with the addition of a stamped Bible verse. 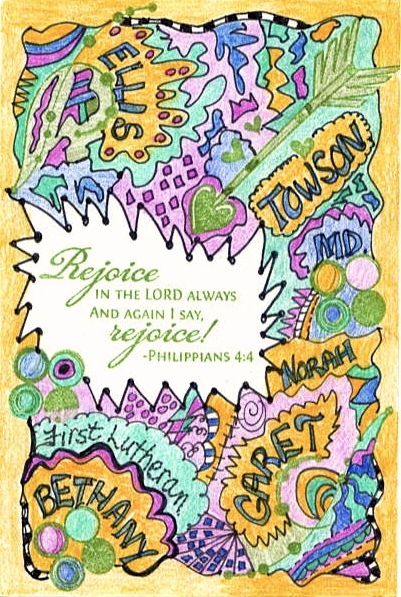 Then simply add in the people you are praying for and doodle around the card and color it in. I keep a color copy of the prayer and then send the original to the people prayed for to bless them with the Visual Prayer. collage a deck of cards! A deck of cards becomes a wonderful way to "collage" a prayer, or words of hope and encouragement- or add a Bible verse. Can punch a keep on an O ring or binder ring. These are "Coloring" cards found at a Tuesday Morning. 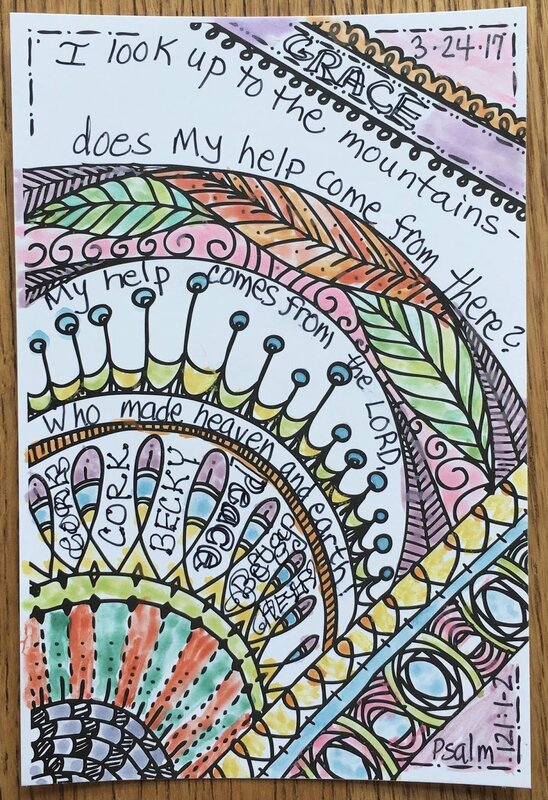 By adding a Bible verse and the people I am praying for- these "secular" coloring cards become a Visual prayer. Any time you can start with something that is NOT a blank beginning there is often a "drawing into prayer."